Ms Adriana Garay is an IT industry professional with 20 years of experience. Her corporate career includes many positions within IBM Argentina, Brazil and US. Currently within IBM US, she leads the transition of the Quote to Cash teams to the new ways of working. Among her career accomplishments, there are many successful transitions Country to Centers of Excellence and/or Business to Shared Services. 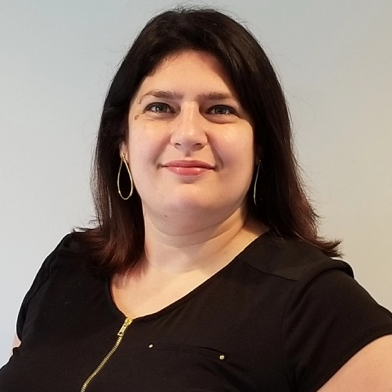 In her most current role, she is part of the team that drove the Organizational design of Enterprise Services, which was awarded with the Gold Medal HRD Award. This same team has also received 2 Gold Stevie Awards for ‘Team of the Year’ and ‘Training Program of the Year’. Ms Garay has a vast experience in working in Centers of Excellence, both in Argentina and Brazil, across many shared services teams. Ms Garay earned a bachelor’s degree at Universidad de Belgrano, Argentina. She is married and mother of 2. In her free time, she likes to enjoy family, play piano and travel. Check out the incredible speaker line-up to see who will be joining Adriana.